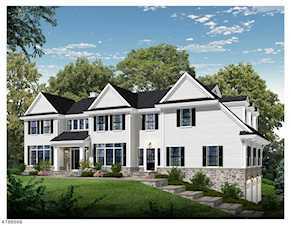 For additional information on any of these Chatham Township homes for sale, just click the "Request More Information" button located on the detail page of each property. And to view any of the Chatham Township listings you are interested in, click the "Schedule a Showing" button displayed on every property detail page to set up a time. In addition, we can provide you with disclosures, past sales history, dates and prices of properties recently sold nearby, and more. For more detailed information, visit the Chatham Township NJ Community Website. View Chatham Township Home Sale Statistics updated daily! Visit my Chatham Township NJ Real Estate blog for past real estate statistics and home sale information. If you're thinking about relocating to Chatham or another town in NJ commutable to New York, I can help you. Morris County golfers are fortunate to have four of the best public golf courses available anywhere. One of these, the 36-hole Flanders Valley Golf Course is commonly included on lists of the nation's most outstanding public courses, for example receiving four stars from Golf Digest and ranking in their Top 75 Public Courses. Among New Jersey’s top courses, it is played by over 85,000 golfers each season. Meanwhile, a little north of Chatham, the fabulous Sunset Valley course is known for some of the most stunning views in Morris County. It is also ranked with four stars by Golf Digest and has received the Top Women-Friendly Courses Award by "Golf for Women" magazine. Formed by a glacier over 15,000 years ago, Chatham Township is home to the 7600 acre Great Swamp. With its sandy knolls and marshlands, Great Swamp is a refuge for a wide array of wild birds, fox, deer, turtles, fish and frogs. The surrounding ladscape is distinguished by the rolling farmland of the Passaic River Valley and framed by the third Wachung Mountain ridge. A highlight of Morris County's 17,000 acres of parkland, Chatham's Great Swamp Outdoor Education Center invites visitors to wander the trails and boardwalks of this wonderful mix of marshes, meadows, dry woods, and brush-covered swamps and enjoy its wide variety of plant and animal life. Various environmental education programs and guided nature walks are offered for all ages. Among Chatham Township’s most attractive and popular park spaces, the Passaic River Park has been developed to help preserve the river and its banks and environs from further encroachment. With more than a mile of riverbank, the Park’s over 700 acres provide pleasant hiking and picnic spaces, open areas for softball and other games, super fishing, and, in winter, excellent ice skating and cross-country skiing. Contact me today for a friendly consultation about your Chatham Township Real Estate needs.